After the end of the semester, many students stay in Worcester a bit longer for the start of the summer break. Don’t know what to do with all your free time now exams are over? If you want to relax with your mates or try something different, you can kick off your break with some great local events. 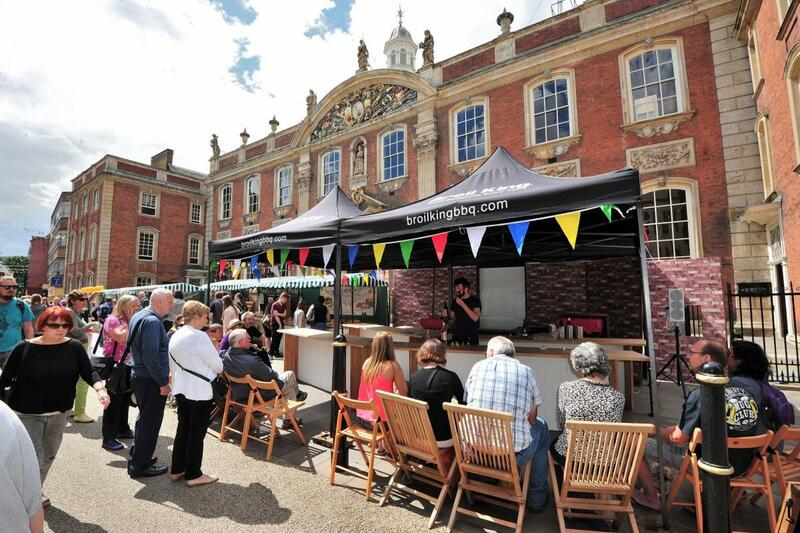 In early June, you can join the food festivals coming to Worcester and Hereford. If you’re a foodie, I suggest attending both as this is probably your idea of paradise. Spending time with your friends and trying different foods is a good excuse to spoil your taste buds. There is no better opportunity to dress up than Ladies Day at the Racecourse. This is a great local venue and a perfect way to celebrate the end of the semester in style. Best bits include watching the horse racing, joining the best dressed lady competition at Crowngate County Enclosure, followed by a live music concert. Is there anything more romantic than an open-air cinema with Patrick Swayze? Grab your mates, a picnic basket and a blanket and have the time of your life. These events run in all weathers so make sure you’re prepared. Top tip: refreshments will be available and you can hire the picnic blankets. If you’re a coffee lover or you’re bored of instant coffee now exam period has passed, this Coffee Festival might be the right place for you. You’ll be able to try loads of different samples of coffee and other products including milk alternatives. You don’t have to be a hipster to jump on a train to Brum! For more events like this, head over to the Eventbrite website for more exciting events in Worcester.